You come into the room and put some hand sanitizer on your handsuse before you touch the cats. You can see the relaxed cats, some are sleeping, some are playing with customers. You can feed the cats. Also you can buy something to drink. Some cats are relaxing at their favorite bed. Each of cats is named. A cat, which is sleeping on the pc is Tetsu. 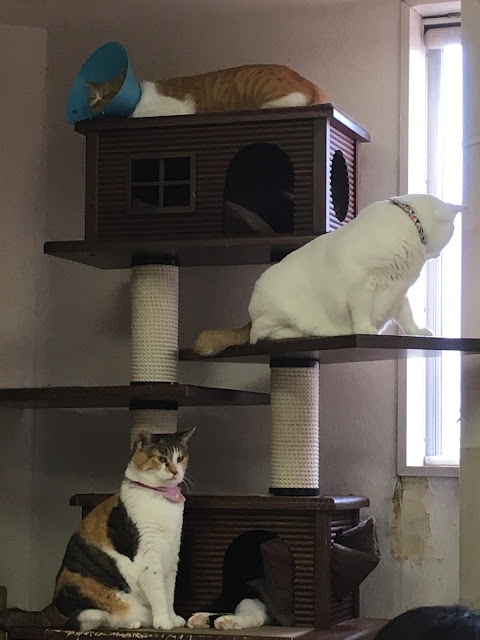 Some cats are relaxing at the cat tower. All cats are the good friends. Cyata is lying on the sofa. Komari-chan is playing with me. The kitten stay in the cage for a while until they get used to the environment. The owner is Takako Saito. She likes to travel around the world, so she speaks English well. Many foreign people around the world visit here. You be a foster parent of cat. 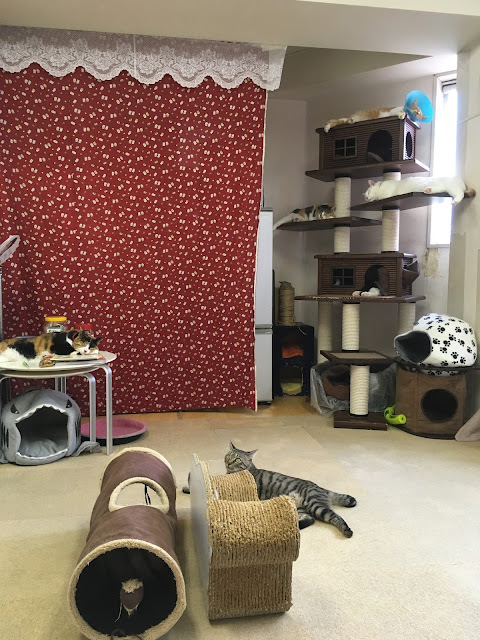 Many cats were adopted form Asakusa Neko-En. 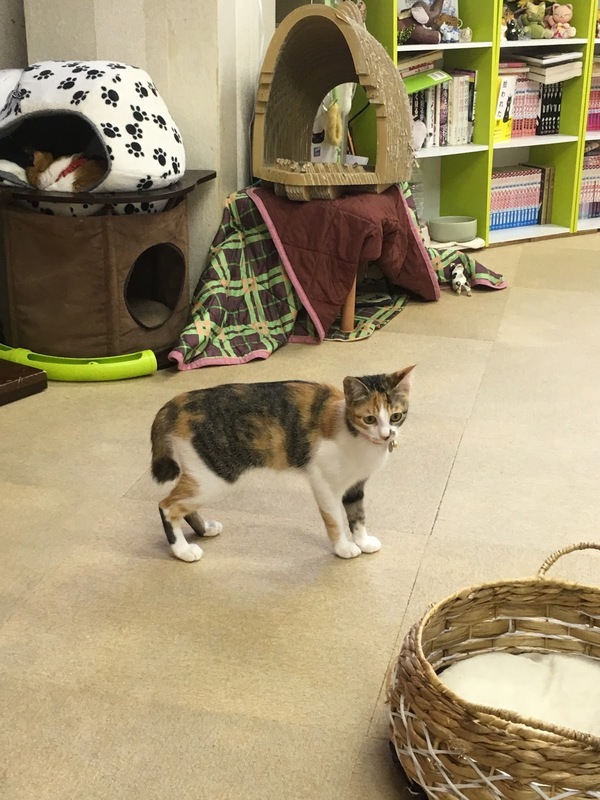 I'm so embarrassed, but there are a lot of cats and dogs being euthanized in Japan. 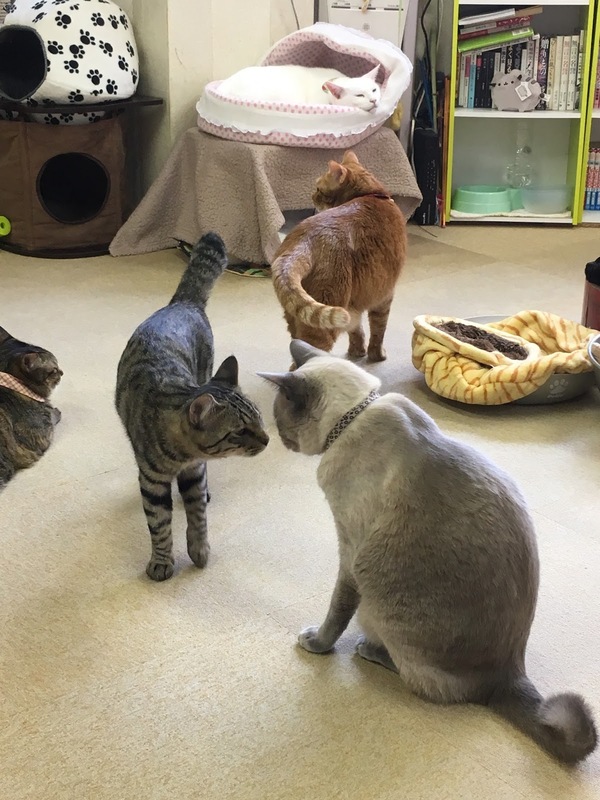 The Japanese love their pets and people enjoy posting their cute pets's photos and videos on SNS. But this makes problem. Some of them get bored to keep their pets and thousands of pets are abandoned by their owners. I'm so sad these innocent pets lost their lives by the selfish irresponsible human. Every living things are not your toy. I want to save their life. I'm gonna adopt a cat in the near future. If you love cats, please visit here to see homeless cats and donate them to save their lives.